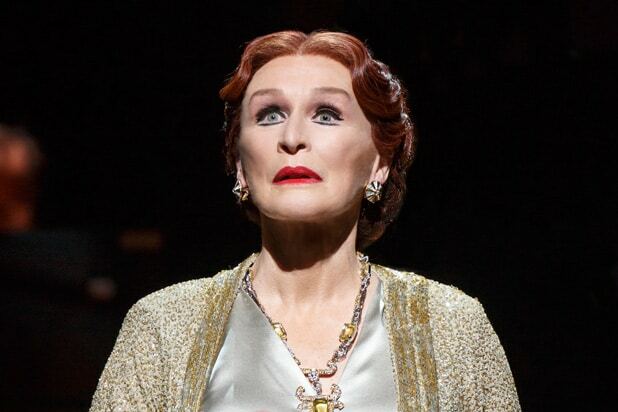 Nearly a quarter of a century ago, Glenn Close famously wore a turban on stage in Andrew Lloyd Webber’s “Sunset Boulevard,” first in Los Angeles, followed by a Tony-winning run on Broadway. The turban, as well as her Kabuki white face, also graced the show’s poster. The turban is back for the 2017 Broadway revival, which opened Thursday at the Palace Theatre, but appears in only one brief scene. Close instead wears a variety of hats (her flashy, sometimes ridiculous, costumes are by Tracy Christensen after Anthony Powell’s original designs), but what you will remember is her hair. I don’t recall the color back in 1994, but it’s definitely red this time around. Very red, almost Lucille Ball red. 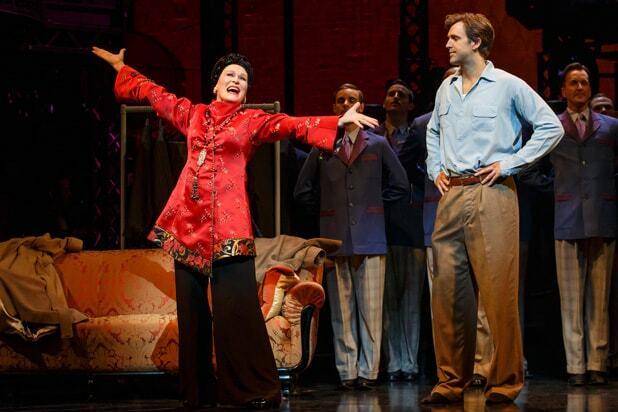 Lucy as Norma Desmond? Actually, Close isn’t that subtle. Her Norma Desmond often resembles Carol Burnett’s TV parody of an aging silent film star though the latter had far more resemblance to a human being. Like Burnett, Close gives a bravura performance: funny, over-the-top, ridiculous. 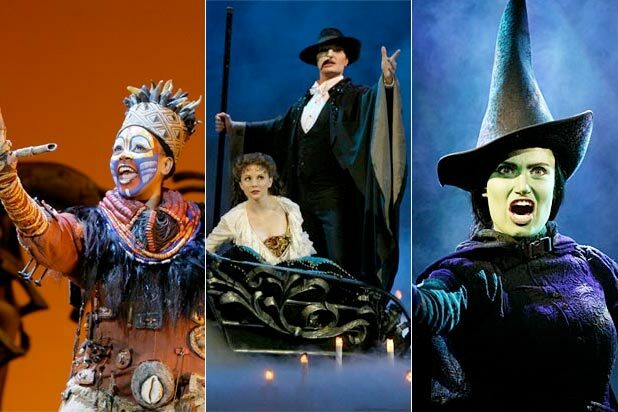 The only vulnerability Close brings to the role, however, is her singing voice. The actress was never a great singer, but managed to be adequate by Broadway standards. Here, her vocal production changes with nearly every other note, and the resulting tone and pitch is just as variable. In the original 1950 film, Billy Wilder included a scene in which Gloria Swanson watches one of Norma Desmond’s old movies. The clip is from Swanson’s 1929 film, “Queen Kelly,” and the actress and the cinematography are brilliant and, yes, very understated. When Norma says, “We didn’t need dialogue. We had faces,” Wilder is siding with Norma. Those old silent movies, at the dawn of the sound era, were true works of art, made by great artists. Norma, as defined by Close, is and always was just a clown, although it’s doubtful either Charlie Chaplin or Buster Keaton would have encouraged such campiness. Lloyd Webber’s opening four songs (“Let Me Take You Back,” “Let’s Have Lunch,” “Betty’s Pitch,” “Car Chase”) emerge as tuneless recitative with flat lyrics by book writers Don Black and Christopher Hampton, who completely muddle the story of how a down-on-his luck screenwriter, Joe Gillis (Michael Xavier, more snarky toward Norma than duped by her), finds himself pursued by loan collectors only to end up in the mansion of a forgotten movie star. Risible is the moment when Price has two actors simulate the car cash on Sunset Boulevard by running down a staircase as they carry big headlights. Price repeats the effect in the second act to create a nightmare “Loveland”-from-“Follies” moment before Norma shoots Joe. In another equally bizarre moment, Norma’s butler and ex-husband, Max (Fred Johanson, in vocal distress), has to help Norma down a flight of stairs, after she has slit her wrists, to take center stage. Lloyd Webber borrows from Franz Lehar for Norma’s arias “With One Look” and “As If We Never Said Goodbye,” neither of which has the nostalgic poignancy of Sondheim’s “One More Kiss” from “Follies.” As with the desultory opening 15 minutes, Black, Hampton and Lloyd Webber run amok whenever they try to expand on the film’s story. Ensemble numbers choreographed by Stephen Mear and set in Schwab’s Drugstore and a men’s clothing shop merely mark time until Close can reappear to repeat some of the original dialogue from the movie.